Miss the second set of advice for applying to internships? Check it out here. You’ve obviously set yourself apart, and the company liked your cover letter because now they’re inviting you to interview. 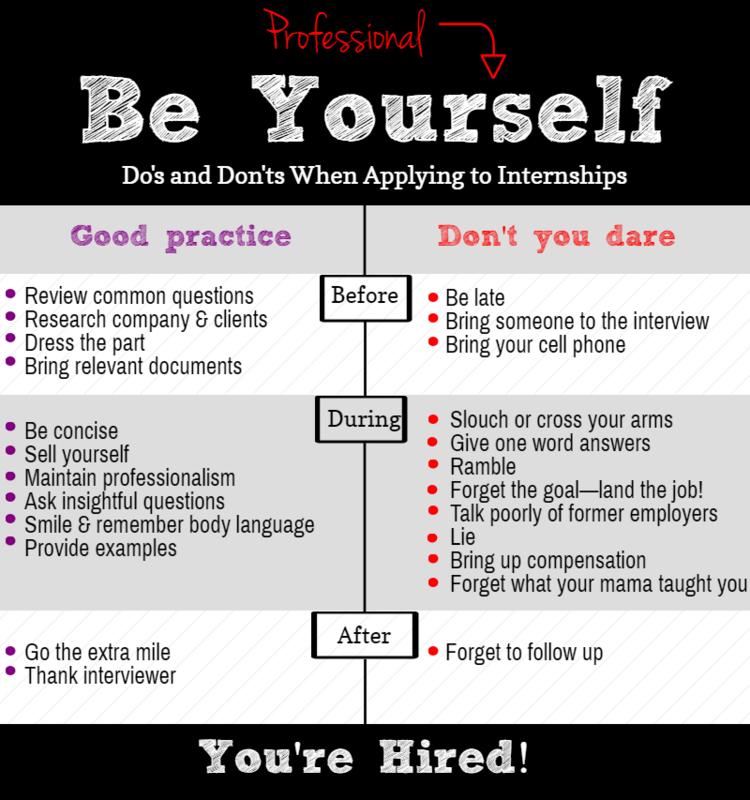 The do’s and dont’ts of interviewing are pretty straight forward, but the steps you take before, during and after the interview can make or break your internship opportunity. What’s your favorite interview question? Tweet us @DEVENEYMKTG and let us know.